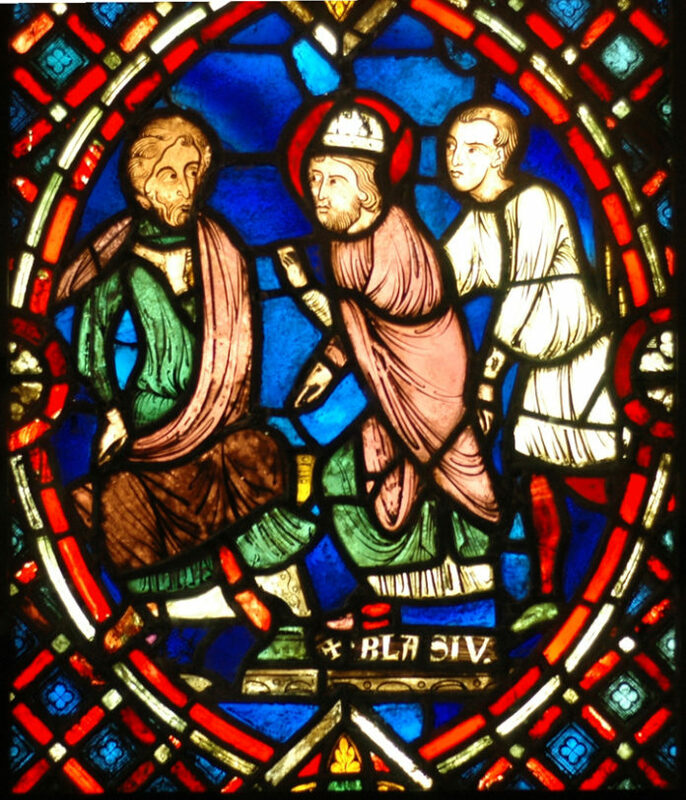 The Armchair Liturgist: St Blase On Sunday? What do you do every fifth, sixth, or eleventh year when the third of February falls on Sunday? Liturgy geeks know that the memorial of Blase, Bishop and Martyr, just vanishes when the observance falls on a Sunday. But there used to be a great attachment to the blessing of a throat. Did you know a lay person may invoke the saint? A few of us were discussing the placement of this feast–somewhat after the advent of flu season. Better in November? This entry was posted in The Armchair Liturgist. Bookmark the permalink. 2 Responses to The Armchair Liturgist: St Blase On Sunday? There wasn’t an option for ‘None of the above’. I’ve not come across throat blessings here in the U.K. Interesting. I wonder who brought it to America. There’s the skip-it option. On facebook, other people had new options too.